Map maker : LANGENES, B.. Size : 3.3 x 4.8 inches. / 8.5 x 12.2 cm. 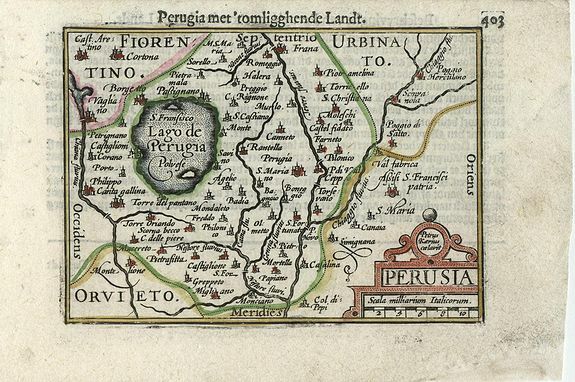 Description :Very fine early miniature map of Perusia ( Perugia ), this map is from the first edition of the Langenes atlas, (later well known under the name of Bertius). Dutch text on verso.